Annette Snyckers is a visual artist and poet living in Cape Town. She studied literature (English, French and German) at the University of Pretoria and later Fine Art at the University of South Africa. She was a high school teacher and translator before dedicating herself to the visual arts. She is a painter and graphic artist working in oils and mixed media. 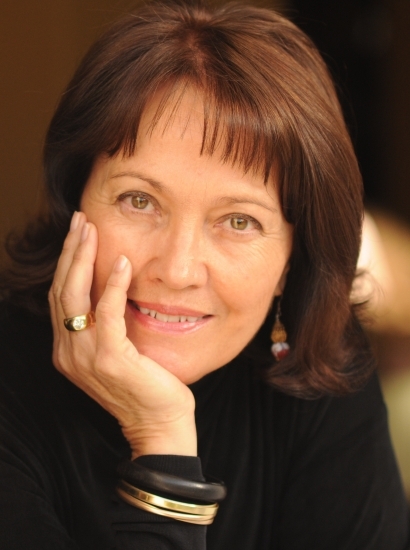 Her poems have been published in literary magazines and online in Aerodrome and The Stellenbosch Literary Project. Her work was selected for the following anthologies: Difficult to Explain edited by Finuala Dowling, For Rhino in a Shrinking World edited by Harry Owen, The Sol Plaatje European Union Anthology 2012, 2013, 2014 and 2015, McGregor Poetry Festival Anthology 2014 edited by Patricia Schonstein. Annette writes in both English and Afrikaans.